New Pictures from 'Where The Wild Things Are' (FILM). These larawan were found on Spike Jonze's skateboard website (He is apprently hiding larawan of the new movie in skateboard art!. 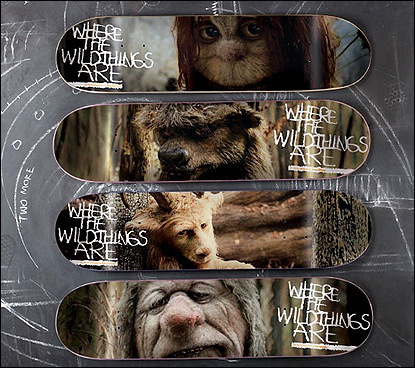 Wallpaper and background images in the Where The Wild Things Are club tagged: where the wild things are maurice sendak spike jonze skateboard art image photo. This Where The Wild Things Are photo might contain sign, poster, teksto, and pisara.